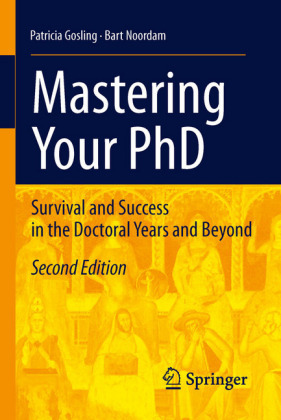 'Mastering Your PhD: Survival and Success in the Doctoral Years and Beyond' helps guide PhD students through their graduate student years. Filled with practical advice on getting started, communicating with your supervisor, staying the course, and planning for the future, this book is a handy guide for graduate students who need that extra bit of help getting started and making it through. 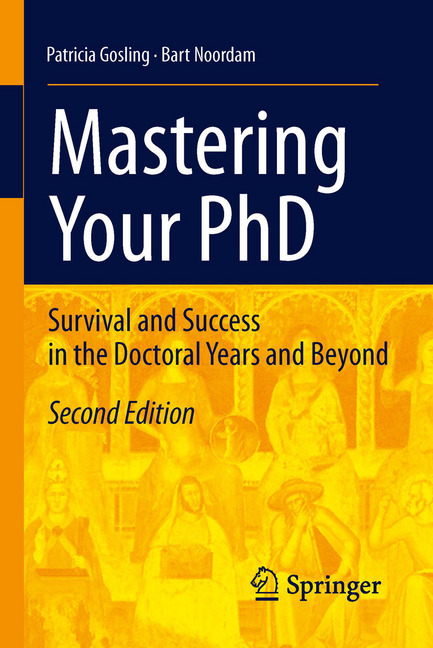 While mainly directed at PhD students in the sciences, the book's scope is broad enough to encompass the obstacles and hurdles that almost all PhD students face during their doctoral training. Who should read this book? Students of the physical and life sciences, computer science, math, and medicine who are thinking about entering a PhD program; doctoral students at the beginning of their research; and any graduate student who is feeling frustrated and stuck. It's never too early -- or too late! This second edition contains a variety of new material, including additional chapters on how to communicate better with your supervisor, dealing with difficult people, how to find a mentor, and new chapters on your next career step, once you have your coveted doctoral degree in hand. Dr. Patricia Gosling has worked in several science-related fields since earning her PhD in Organic Chemistry, including medical publishing and medical communications. She currently works in the Scientific Affairs department of a leading biotechnology company. Prof. Dr. Bart Noordam is Dean of the Faculty of Science at the University of Amsterdam. As Professor of Physics he supervised several PhD students. He has also worked for McKinsey & Compnany, a Regional Audit Organization, and in the semiconductor industry.